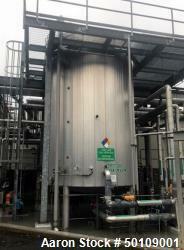 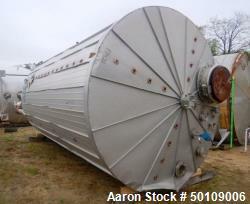 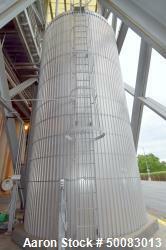 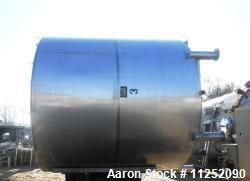 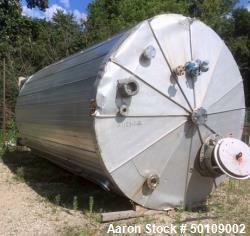 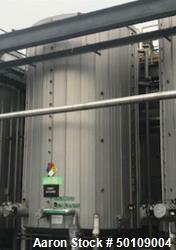 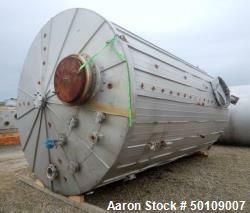 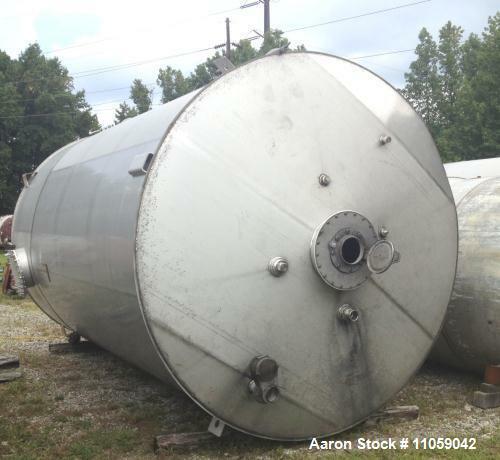 Used- 10000 gallon 316 Stainless Steel vertical tank. 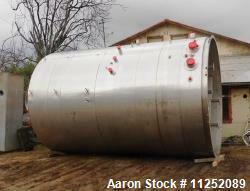 10' diameter X 17' straight side. 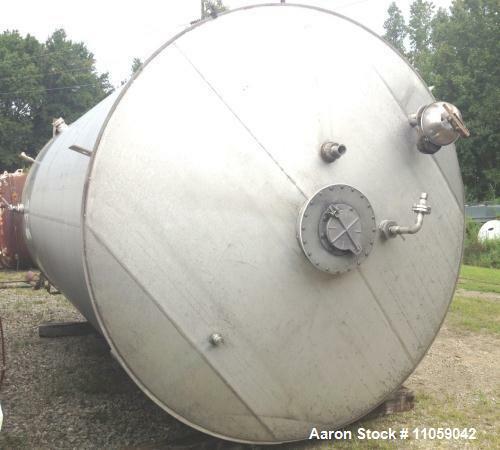 Approximate overall height is 19'. 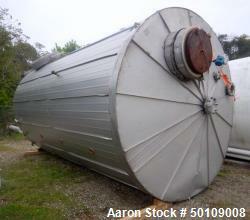 Tank has a flat bottom and conical top. 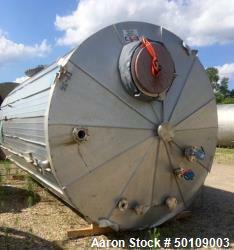 Top Openings include (2) 4" NPT, (1) 3" flange, (2) 2", (1)1.5" NPT. 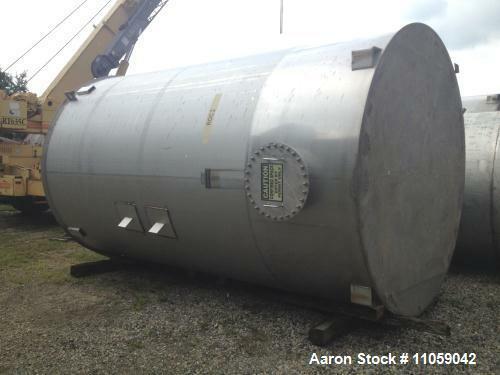 Shell openings include (1) 20" Bottom side manway, (2) 4" NPT, (2) 1" NPT. 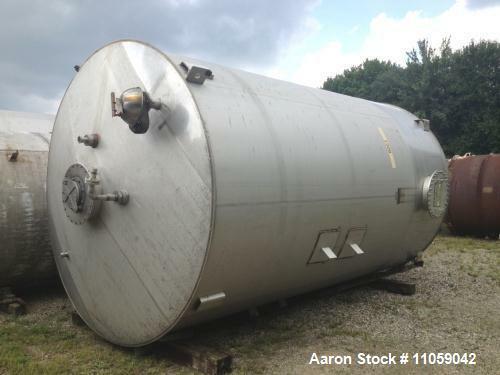 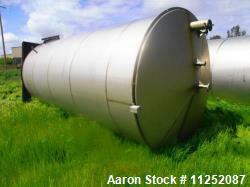 Tank is UL Labeled for above ground storage of flammable liquids.